Climate change, pesticides and habitat destruction are killing the birds, bees and other pollinators we rely on for our food supply at an alarming rate. A new bill could help change that, but I need your help to build support for this vital legislation. Sen. Jeff Merkley recently introduced a bill that would increase funding to restore and conserve three million acres of pollinator habitat, and would create financial incentives for farmers to grow pollinator-friendly plants and use natural predators to control pests. More than a third of our food production comes from crops that depend on pollination. Legislators must take action now to protect our pollinators and guarantee a food supply for the future. 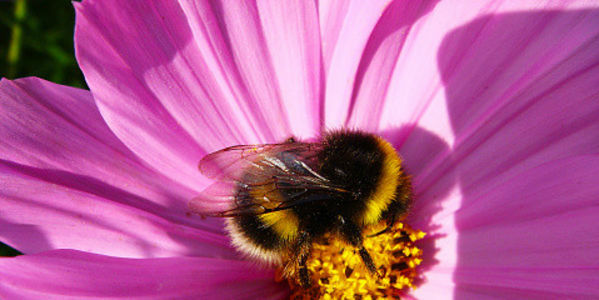 Your signature today will help build essential support for concrete action by the US Congress to protect essential habitat for pollinators and safeguard vulnerable bees and other pollinators. Please sign the petition andd urge your U.S. Representative and Senators to support the Pollinator Recovery Act of 2016! I am writing today in support of the Pollinator Recovery Act of 2016, legislation by Senator Jeff Merkley of Oregon that would help the pollinators we rely on for our food supply. More than a third of our food production comes from crops that depend on pollination. Unfortunately, factors like habitat destruction, climate change and pesticides have been harming their populations. In fact, the International Union for Conservation of Nature (IUCN) has found that 16.5 percent of vertebrate pollinators are threatened with global extinction (increasing to 30 percent for island species). Another troubling sign: US beekeepers lost 44 percent of their honeybee colonies from April 2015 to April 2016. Lawmakers like you must take action now to protect our pollinators and guarantee a food supply for the future. Sen. Jeff Merkley recently introduced the Pollinator Recovery Act to help the US Department of Agriculture and other agencies to restore and conserve three million acres of pollinator habitat. It would also create financial incentives for farmers to grow pollinator-friendly plants and use natural predators to control pests. For all of these reason, I urge you to support Senator Merkley's Pollinator Recovery Act of 2016. Thank you for taking the time to read and consider this petition.